We’re thrilled to announce the winners for the Brother CreativeCenter “Back to Business” contest! First, a big shout out to our awesome sponsor Brother, creators of the Brother CreativeCenter. What a fantastic tool! If you haven’t gotten a chance to try the CreativeCenter yet during the contest, head on over and give it a spin! You can create your own business card, flyer, calendar or other small business marketing material with a professional look. Next, we want to thank everyone who entered the 2014 Brother “Back to Business” contest — you guys rock! We were blown away by the creativity, and it was tough for the team to decide on this year’s winners. So many were excellent. To everyone who participated — give yourselves a big pat on the back. Now let’s get to our winners! The following three entries beat out dozens of other small businesspeople and entrepreneurs and will receive a Brother printer prize suite worth approximately $500. 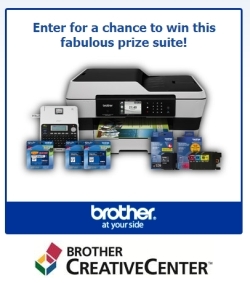 The prize suite includes the Brother Wireless Color All‑in‑One Inkjet Printer (MFC-J6920DW), Desktop Office Labeler (PT-2030), 3 color cartridges, a black ink cartridge and assorted packages of labels. Take a look at their submissions below. 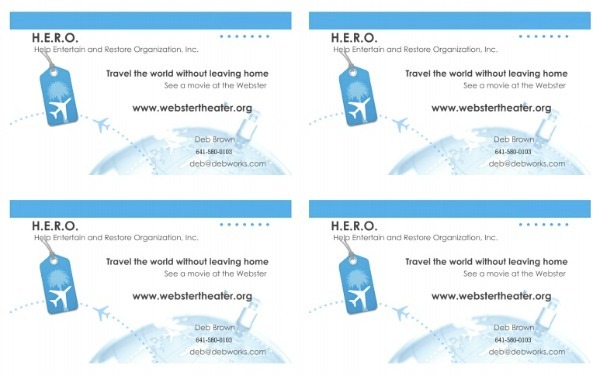 HERO (Help Entertain and Restore Organization, Inc.) is a non-profit organization based in Iowa that is dedicated to reopening a historic theater in Webster City. The business cards, submitted by Deb Brown, include the organization’s name, contact information, website, and a bit about its mission. 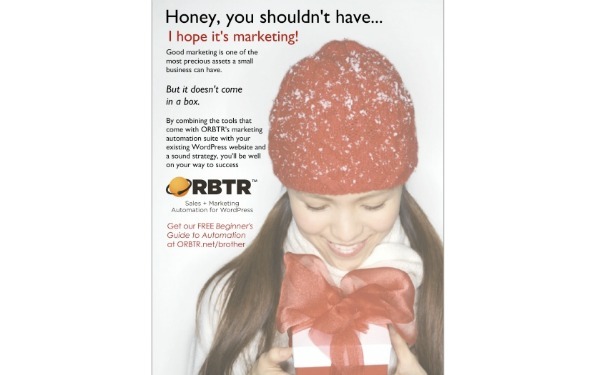 Next Travis Campbell submitted a poster for ORBTR, a company which offers sales and marketing automation for WordPress. Travis submitted a poster that highlights the importance of small business marketing and also includes some information about the company’s offerings and a link to a free beginner’s guide. Amy Lue Patrick is a textile artist who sells handmade pieces on Etsy. 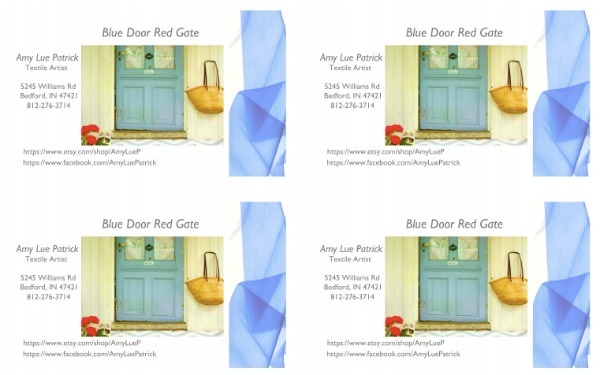 She submitted a set of business cards for her shop, Blue Door Red Gate, that include a photo and graphic, contact information, and shop and social media links. Once again, congratulations! And please watch for more over on our sister site, Small Business Trends, where we will be doing a slideshow recap of every single one of the entries, whether you won or not. In this way, everybody is a “winner” based on the visibility you will get. It’s just an additional thank-you for participating, and to show you how much we appreciate each of you. Read more in Contests, Contributor of Week.